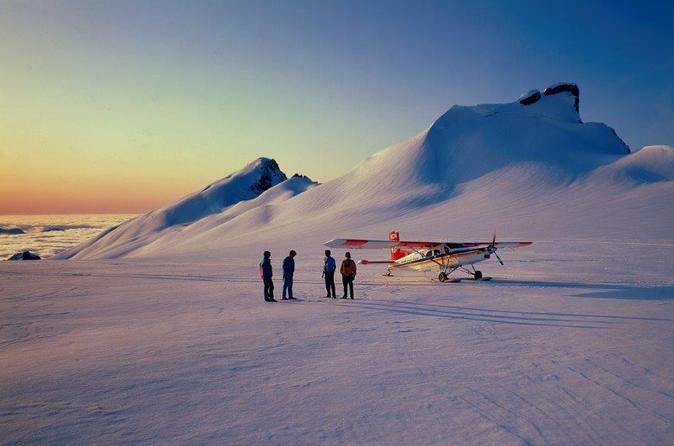 This short scenic flight option is ideal if you are looking for the opportunity to touch snow and experience the thrill of a helicopter flight. Sweep through the rugged high country landscape of the Ben Ohau mountain range to a landing site on a snow field high in the mountains. Enjoy the fantastic vista from this alpine setting as you look out to the mountains and glaciers, and down to the valleys that were carved out by glaciers centuries ago. Sit back and relax on this one-way tour from Mount Cook to Christchurch. 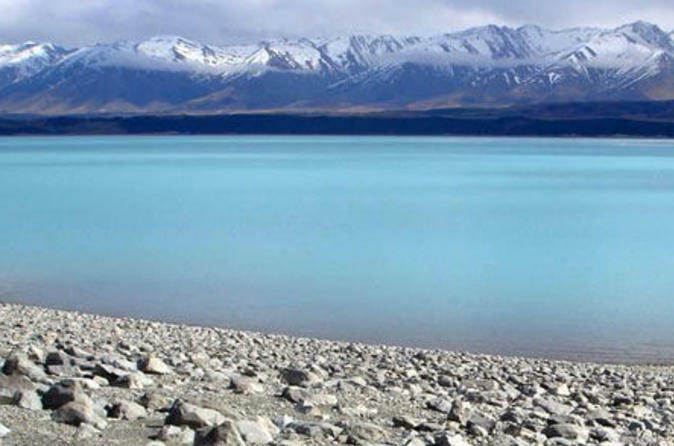 Travel down the western side of Lake Pukaki and see the breathtaking views of this alpine region of New Zealand's South Island. Experience this magnificent alpine environment with a high scenic flight over the Ben Ohau mountains. Watch as the landscape changes from low rolling hills, becoming steeper and more rugged as you rise above scarred ridges left by ancient glaciers. Fly close to the steep ridges and rise over a mountain pass that reveals superb views out to Aoraki/Mount Cook and its surrounding peaks. 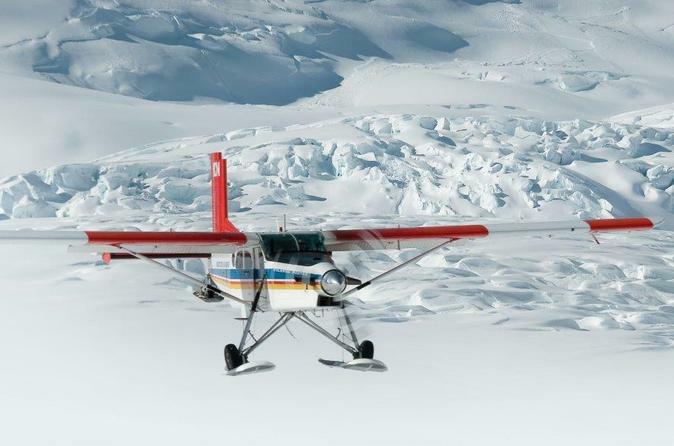 Prepare yourself for an amazing landing on the Richardson Glacier where you will be able to step out of the helicopter and play in the snow. Enjoy expansive views down the Tasman Valley on your return to Glentanner Park at the head of Lake Pukaki. Enjoy a scenic helicopter flight from Mt Cook to Tasman Glacier followed by an exhilarating 2-hour guided walk on the glacier itself. 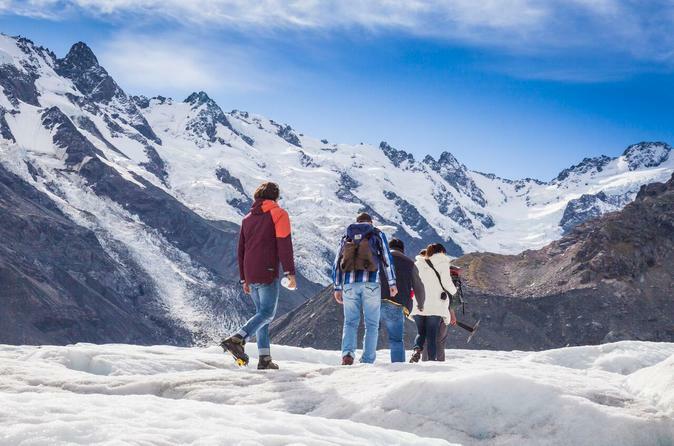 Fly over the Southern Alps and Aoraki/Mount Cook National Park to reach Tasman Glacier, New Zealand’s largest glacier and a frozen wonderland of ice caves, snow fields, crevasses and pinnacles. As you explore on foot, learn from your guide how glaciers form, move and melt. Choose from three departure times per day to suit your schedule. In the afternoon, depart the Mount Cook village and travel down the western side of Lake Pukaki at the foot of New Zealand's tallest mountain, Mount Cook. On leaving the Mount Cook National Park, journey further south through the rugged high country landscape of the Mackenzie Basin with its hydroelectric system of lakes and canals. Be mesmerised by the alpine surroundings of the truly unique region of New Zealand's South Island as you leave Mount Cook on a one-way tour to Queenstown. 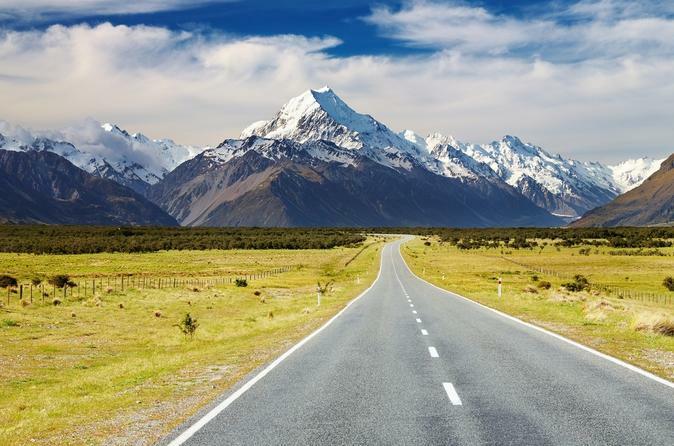 Depart Mount Cook village in the afternoon and travel down the western side of Lake Pukaki at the foot of New Zealand's tallest mountain, Mount Cook. 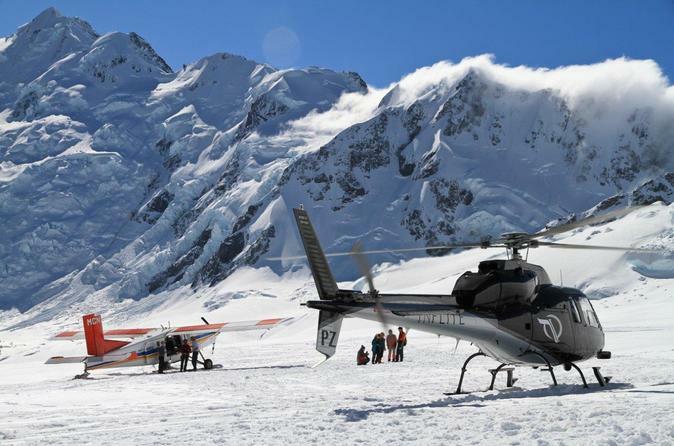 Join this 65-minute Ski Plane scenic experience through the Mt Cook and Westland National Parks for a unique air tour like no other. Includes 2 snow landings on either the Fox, Franz Josef or Tasman Glaciers. The ultimate way to see the Southern Alps! 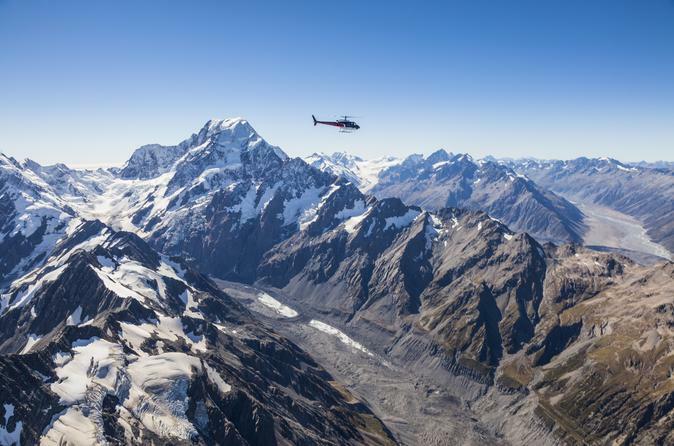 See the Aoraki Mt Cook National Park on this 35-minute scenic flight tour. Enjoy a stunning scenic flight up the Tasman Valley, through the Hochstetter Icefall, with a landing on the mid snowfields of the Tasman Glacier. 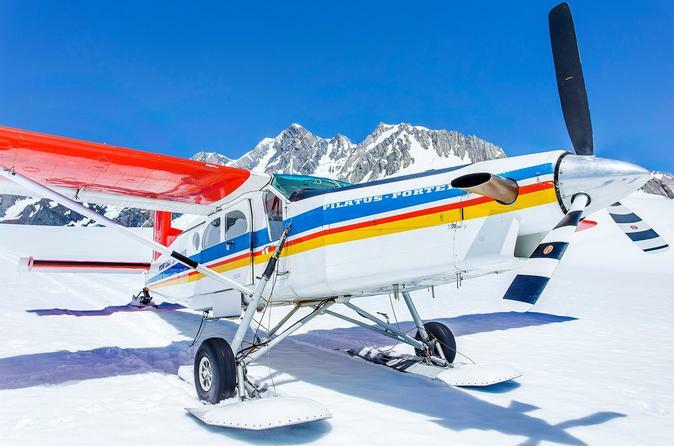 Soar through the sky on this 45-minute Ski Plane scenic experience through Aoraki Mt Cook National Park. Enjoy the Breathtaking views from the moment you’re airborne. 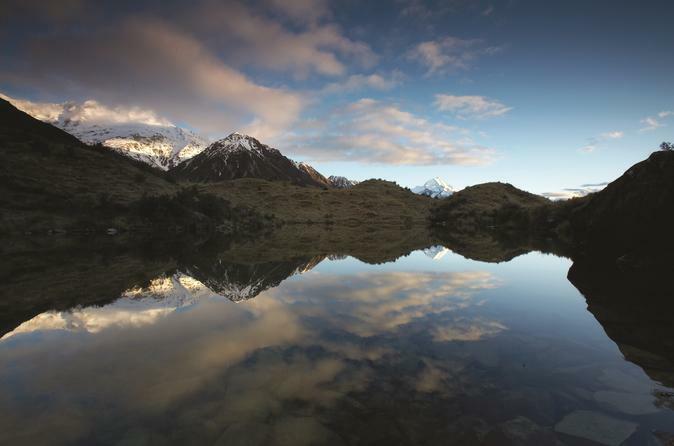 Experience everything Mt Cook National Park has to offer. 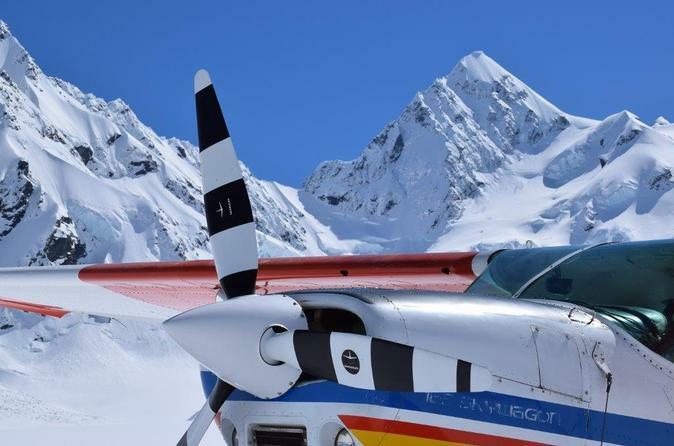 Enjoy fantastic views of the stunning Tasman Glacier and Hochstetter Icefall on this incredible 20-minute scenic Ski Plane overflight up the Tasman Valley. Learn about the area in a unique and memorable way! 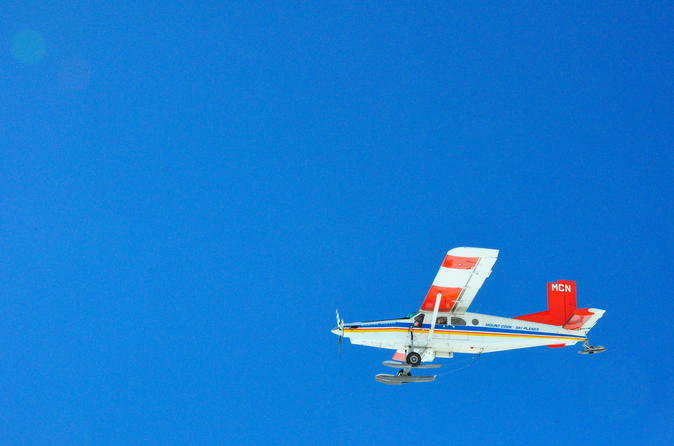 Join this tour for the unique opportunity to fly in both a Ski Plane and Helicopter! Flying through the remarkable Tasman Valley and landing on the snow covered peaks with this scenic option is an unforgettable experience. 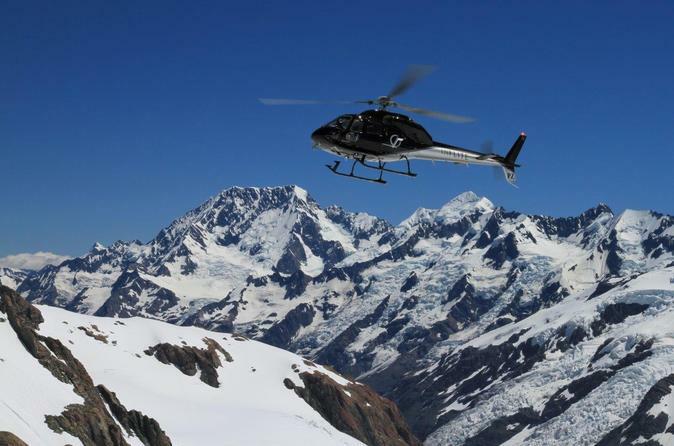 Soar through the sky on this 65-minute scenic Helicopter experience through the Mt Cook and Westland National Parks. Includes a snow landing on either the Fox, Franz Josef or Tasman Glacier. 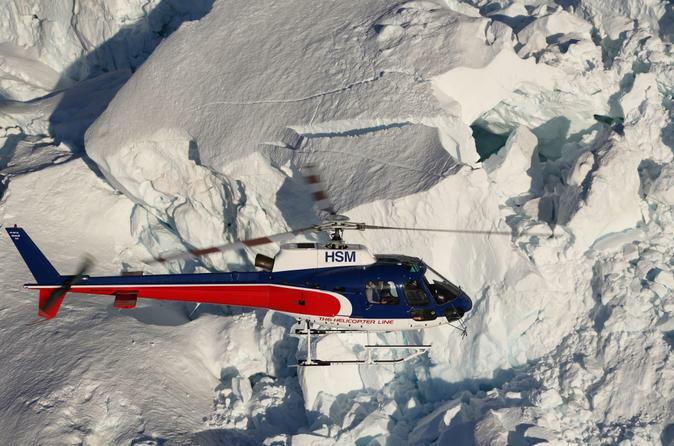 The ultimate way to see the Southern Alps! 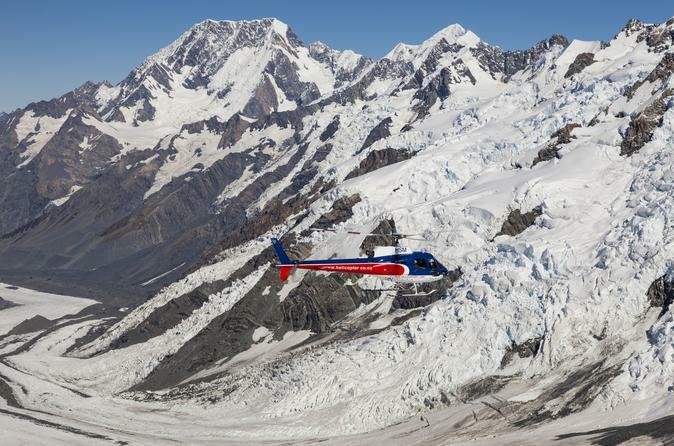 Join this 45-minute Helicopter scenic experience through Aoraki Mt Cook National Park for a helicopter tour like no other! Sit back, relax, and soak in the breathtaking views from the moment you’re airborne. Experience everything Mt Cook National Park has to offer. 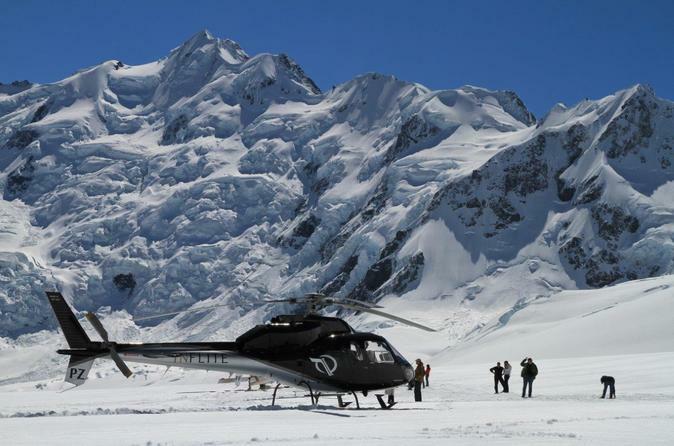 Join this 10-minute tour for a scenic ski plane experience over the lower ice formations of the Tasman Glacier and the Eastern face of Mt Cook. Perfect for those who want to soak in the beauty of Mount Cook, but don’t have a lot of time to do it! 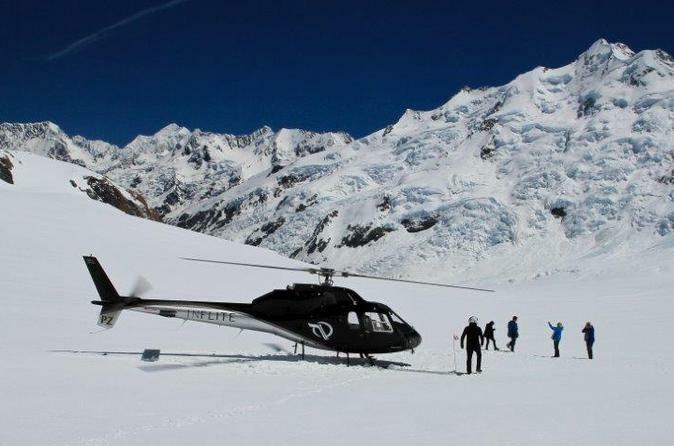 Experience Mt Cook National Park like never before on this scenic 35-minute Ski Plane adventure! Delight in a stunning scenic flight up the Tasman Valley, through the Hochstetter Icefall, with a landing on the mid snowfields of the Tasman Glacier.